VT Fire Extinguisher Services was founded to provide a critical service to the community and surrounding area. For over 35 years, the Owners’ have built a reputation for providing excellent service, top of the line products and reasonable prices. VFE is an authorized AMEREX dealer and is certified to sell and install kitchen and industrial suppression systems. We specialize in providing your business and home with the right Fire Prevention equipment, a smart part of bringing your business into code compliance. Using quality products we bring peace of mind to Fire Safety. In the event of fire, being prepared for an Emergency is a top priority. Your safety is important. Staying safe in the event of fire is job one. To take care of your fire safety needs call Vermont Fire Extinguisher today and enjoy the peace of mind knowing you are safe. 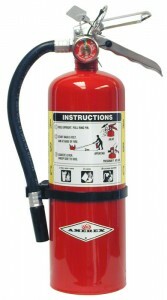 • Vermont Fire Extinguisher Company is a fully insured. • We’ll make sure your fire extinguishers are charged and ready for use. • We also inspect and service Hood Systems for Kitchen fire-safety!